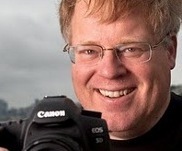 I disagree with Robert Scoble's assessment that Twitter needs to be more like Google+. If anything, from using Google+ I've learned to appreciate Twitter's simplicity! Oh yeah, and pudding. In an entry on Google+ (makes sense) and on his blog, Robert goes into detail how Twitter now seems boring, and that the only way to change this would be for Twitter to broadly emulate Google+. MG Seigler posted a rebuttal, which I'd be able to take more seriously if it weren't quite as scathing, and hosted on a site that requires people to use a Facebook account to leave comments. Still, I found myself nodding my head in several places. On the one hand, I can see Robert's point. With a [paltry!] 1200+ followers myself, I'm acutely aware of how frustrating it can be to receive comments from people on a regular basis without knowing which tweet they're commenting on! With tens of thousands of followers and commentators, there's no denying Google+ facilitates tracking theses threaded conversations more easily for people like him. Claiming this can be fixed by making Twitter more like Google+ though makes absolutely no sense to me, just as John C. Dvorak's claim that Apple would only gain market value and share by licensing Mac OS X didn't. You're awesome John, but what were you smoking my friend? Since Twitter's inception people have complained it's missing feature XYZ, but fortunately Twitter's managers have [largely] ignored such demands unless their users overwhelmingly form a consensus, such as with @replies and retweeting. The appeal of the platform is simple: 140 characters to do what you see fit. If you want more features, clients like Twitter's TweetDeck (that still sounds weird to say that) provide them. The proof is in the pudding. 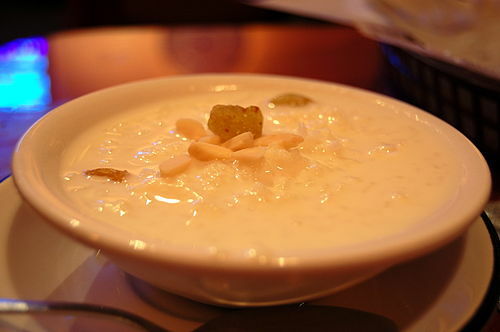 Mmm, rice pudding. Services such as FriendFeed and Google Buzz have attempted to come along in this [relatively] free marketplace to introduce lacking features such as threaded comments, but they never really gained any significant mind share. It makes sense for Google+ because that's what the service started as, and because they're a clone of Facebook… who ironically bought FriendFeed and attempted to clone much of Twitter's features. Now I have no qualm in hypocritically acknowledging that Twitter does need a few more features. The ability to automatically block obvious spammers (those who only send links to strangers and have no followers) and perhaps "associating" a URL with a tweet as I suggested in January would be fantastic, but the key is these features would arguably make the system simpler. I love you Robert Scoble and am a huge fan, but I really believe copying Google+'s features would miss the point of Twitter entirely, and I sincerely hope nobody there takes your advice. The Google+ team should be taking it as a compliment though, they're obviously doing something right! As a matter of disclosure, I know its not cool to admit but I've been a Twitter user since Q1 2007, and I have Google+ and like what I see.